Bridgeport Hospital, Masonicare, and three other Connecticut hospitals -- Waterbury, Hartford, Danbury -- restrain patients at more than triple the national rate. As the state works to improve its mental health system, new federal data shows that hospitals in Connecticut restrain psychiatric patients at more than double the average national rate, with elderly patients facing restraint at a rate seven times the national average. In addition, the state lags behind in providing adequate post-discharge continuing care plans for psychiatric patients, especially teens and the elderly. Connecticut’s 28 inpatient psychiatric units and hospitals developed continuing-care plans for fewer than 70 percent of patients they discharged from October 2012 to March 2013, indicating that thousands of patients may have left facilities without adequate treatment and medication plans. A C-HIT analysis of the federal data, released by the Centers for Medicare & Medicaid Services for the first time, shows that Connecticut ranks in the top fourth of states (eleventh-highest) in the use of physical restraints in inpatient psychiatric facilities, and is the third-highest state in restraining patients 65 and older. Two psychiatric units – at Bridgeport Hospital and Masonicare Health Center in Wallingford – have the tenth- and 12th-highest rates of restraint use, respectively, among the 1,753 psychiatric facilities nationwide that are included in the federal reports, which cover October 2012 through March 2013. Restraints should be used only in cases of imminent physical danger to a patient or others. State and federal guidelines – tightened over the past 15 years, partly in reaction to deaths in Connecticut facilities – say that restraints should be used only in cases of imminent physical danger to a patient or others. They call for less restrictive interventions when patients are acting out aggressively. The data show that Bridgeport Hospital, Masonicare, and three other Connecticut hospitals -- Waterbury, Hartford, Danbury -- restrain patients at more than triple the national rate. McGaughey suggested that the state Department of Public Health, which oversees hospitals, and is charged with reviewing annual reports of restraint and seclusion, should “get a little less timid in looking at this.” Hospitals rarely have been cited or penalized in recent years for improperly using restraints, a review of inspection reports shows. McGaughey noted that the state-run Connecticut Valley Hospital has pursued a reduction in restraints and seclusion that has cut its restraint rate significantly in the last five years. The new data show CVH’s rate at .52 hours per 1,000 patient hours – below the statewide rate of 1 hour per 1,000. The national average is .39. Mental health advocates say seclusion and restraint should be avoided because they are traumatic and dangerous to patients and staff. Alternatives include individualized aggression-management plans, the use of “comfort rooms” or time-out spaces, and one-on-one interventions. Among the innovations at CVH are 22 “comfort rooms,” designed to calm agitated patients, and a reduction in the time interval that a physician’s order of restraint or seclusion can remain in effect, according to a state report. 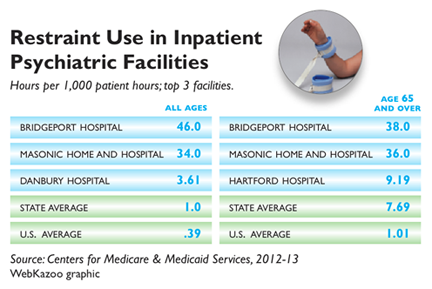 Officials at Connecticut hospitals with high rates of restraint say they are working to reduce those incidents, and they stressed that even minimal mobility restrictions, such as soft wrist restraints or brief therapeutic holds, are counted in the federal numbers. 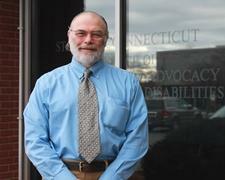 Robert Bernstein, executive director of the Bazelon Center for Mental Health Law, a national advocacy group which successfully sued Connecticut in 2006 to stop housing psychiatric patients in three nursing homes, said he worried that progress made in the early 2000s to reduce restraints might be slipping in some hospitals because of staff shortages and “push back” from clinicians. “Some of the procedures put in place may have been weakened, because it’s a lot of work” to use alternative interventions, Bernstein said. Although patients subjected to improper restraint can file complaints, few speak out, Bernstein and others said. Among the exceptions in Connecticut is Pamela Spiro Wagner, a Wethersfield writer and artist with schizophrenia who has cycled in and out hospitals. In an April “open letter” to the director of a Connecticut psychiatric hospital, Wagner readily conceded that she is a difficult patient – “easily roused to irritability and hostility” – but insisted that her behavior has not warranted her repeatedly being placed in restraints and seclusion, for hours at a time. Nationally, the states with the highest restraint use are Minnesota, Washington, South Dakota, Tennessee, and New Hampshire. For patients 65 and older, only Nevada and New Hampshire have rates higher than Connecticut, which restraints elderly patients at an average of 7.69 hours per 1,000 hours. Thirty-five states have rates of less than 1 per 1,000 hours; the national average is 1.01 hours per 1,000 hours. The U.S. facility with the highest restraint rate is Park Ridge Health in North Carolina, which reports 722 hours of restraint use per 1,000 patient hours overall. 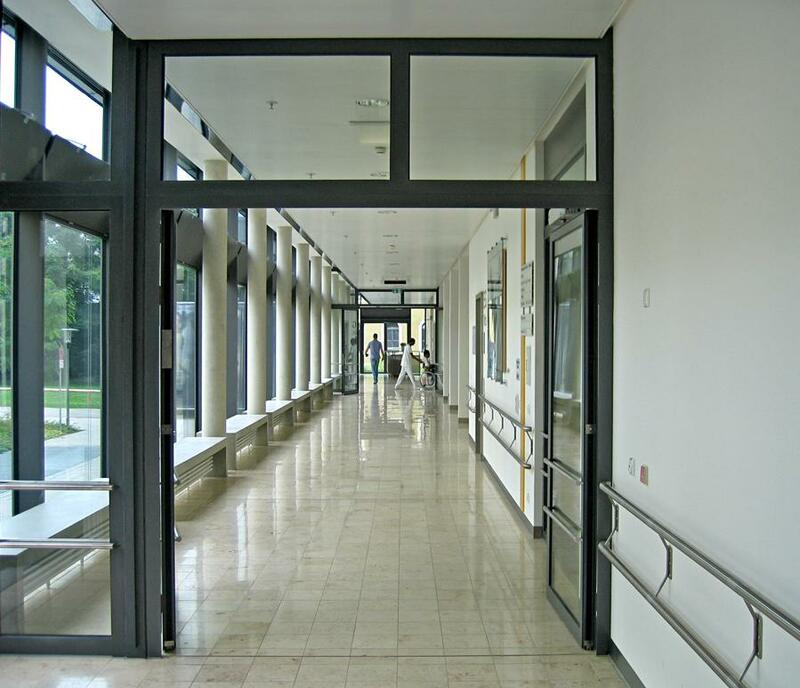 Among facilities that report serving children ages 2 to 12, Lakeland Regional Medical Center in Florida has the highest restraint use, at 200 hours. The federal data shows Connecticut psychiatric facilities fare well in some categories, including lower-than-average rates of restraint for children and teenagers. Five hospitals reported no use of restraints for any age group: Sharon, MidState Medical Center, Bristol, John Dempsey and Natchaug hospitals. And Connecticut’s rate of keeping patients in seclusion is lower than the national average, with half of the state’s psychiatric facilities reporting that they did not use seclusion at all. Nationally, South Dakota, Montana and Washington report the highest use of seclusion, defined as involuntary confinement where a patient is prevented from leaving. But the state’s over-65 restraint rate is fueled by excessive rates at Masonicare (35.99 hours), Bridgeport Hospital (37.92) and Hartford’s Institute of Living (9.19). Officials at those hospitals say they have taken steps in the year since the data-reporting period ended to reduce restraint use. This is the first time that quality measures from psychiatric facilities have been made available by CMS. The federal agency does not penalize facilities for high rates of restraint or inadequate discharge plans. Instead, an agency spokeswoman said, the public reporting is intended to encourage quality improvements and help consumers to make informed decisions. At Bridgeport Hospital, Dr. Ryan O’Connell, vice president for performance and risk management, said the hospital’s geriatric psychiatric unit serves many patients with dementia and behavioral problems that cannot be managed in other facilities. About 18 months ago, he said, the hospital put in place an “action plan” to reduce restraints, including using “comfort” rooms. Also, in January, a new policy was implemented requiring that the nurse manager be called before any patient is restrained. “We realized we were going in the wrong direction with restraints” and have since seen a “dramatic drop” in their usage, O’Connell said. Hartford Hospital’s Institute of Living, which has a geriatric unit for complex dementia patients, has made similar changes over the past few years, nursing director Ellen Blair said. She said restraints are now rarely used, and only for patient safety. The IOL requires that a physician’s restraint order be reviewed every two hours, rather than every four, which is the standard of care. “We look at our data every single day” to ensure that restraint and seclusion are being used only as “a last resort,” Blair said. Masonicare’s acute psychiatric unit serves geriatric patients who frequently are referred because of difficult behaviors and aggression, said spokeswoman Margaret Steeves. When restraints are needed, the hospital uses “the least restrictive restraint, which is typically a seat belt,” she said. Masonicare has an interdisciplinary team reviewing restraint use. Statewide, the Connecticut Hospital Association has been working with the state Department of Public Health to minimize the use of restraints, said Dr. Mary Cooper, the group’s vice president and chief quality officer. She said the new federal data “indicate that there is more work to be done in this area” and will help to identify best practices. Nationally, the federal government tightened rules on the use of restraints and seclusion between 2001 and 2007, including time limits on physician orders and strict documentation requirements. The changes were prompted by a series in The Hartford Courant, “Deadly Restraint,” which documented restraint-related deaths in psychiatric facilities nationwide. In 2007, the U.S. Department of Justice cited the state-run CVH for excessive overuse of unnecessary restraint and seclusion. Since then, policy and training initiatives have significantly reduced restraint episodes – from 26,290 hours in 2000, to 529 hours in 2012 – a state report shows. McGaughey and Bernstein said they were especially troubled by the failure of many hospitals to develop continuing care plans for discharged patients, and to transmit those plans to the next level of care. Statewide, Connecticut facilities developed adequate discharge plans 69.4 percent of the time – lower than the national average of 73.5 percent. For teens, hospitals transmitted care plans only 55 percent of the time – lower than the national average of 74 percent – and for seniors, just 42.7 percent of the time, below the national average of 56 percent. Discharged patients are supposed to receive care plans containing their diagnoses, reasons for hospitalization, medications and treatment recommendations. The federal data shows that ten Connecticut hospitals, including Waterbury Hospital, Masonicare and Yale-New Haven Hospital, properly transmitted care plans to the next provider in less than half of cases. A few hospitals – St. Mary’s, Bristol, Norwalk, Natchaug Hospital and Southwest Connecticut Mental Health – transmitted care plans more than 90 percent of the time. McGaughey said that without continuing care plans directing further treatment, many discharged patients may languish in nursing homes, shelters or land back in the hospital. Hospitals with low rates of discharge care plans blamed much of that lag on their failure to document that the paperwork was done. This story was reported under a partnership with the Connecticut Health I-Team (c-hit.org).